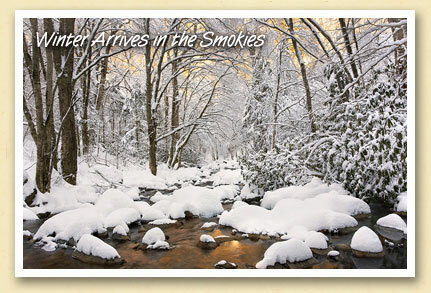 Thanks to Scott Hotaling for this week’s Postcard From The Smokies. 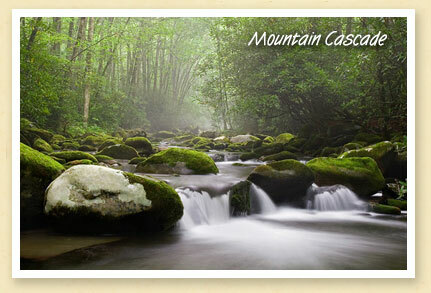 Scott is an area photographer who lives near the Great Smoky Mountains National Park and routinely captures the Park’s beauty, as in his atmospheric “Mountain Cascade” above. For more of Scott’s photography and print information, visit his website at LightOfTheWild.com. 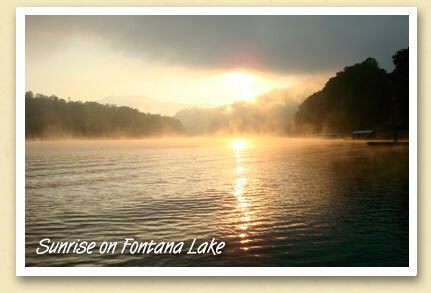 This week’s double postcard of Fontana Lake scenery provides a beautiful followup to our July 25th mountain sunrise and sunset photos. Gloria Kaylor, who rents cabins in the Smokies, captured these early morning and late evening images of her ‘favorite place on this earth’. 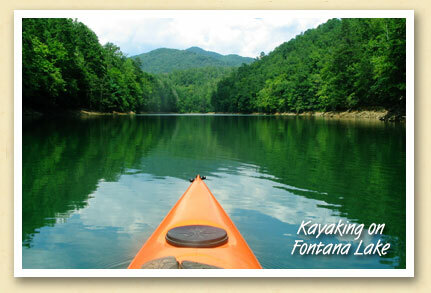 Interested in spending the day on Fontana Lake? You’ll find more information here. 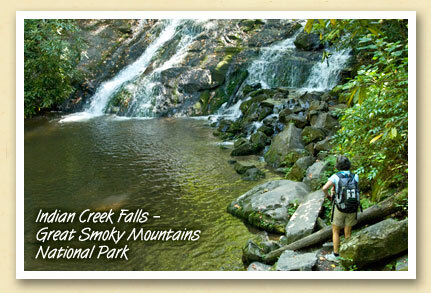 The Great Smoky Mountains are known for beautiful lakes, rivers and mountain streams …but not necessarily for beaches. That’s because the banks are often rocky and steep, and the waters too swift for casual wading. 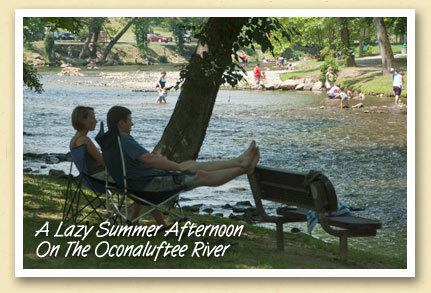 But in downtown Cherokee at Island Park, the Oconaluftee River widens and becomes shallow enough for children to enjoy playing and splashing in the water. It’s the Smokies’ solution for a day at the beach. Love Waterfalls? 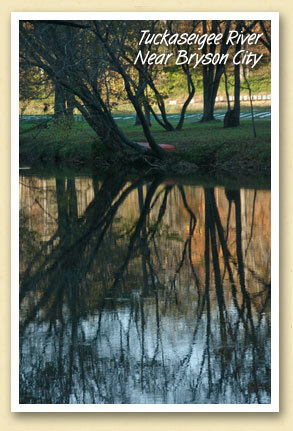 Go For Deep Creek’s Trifecta. 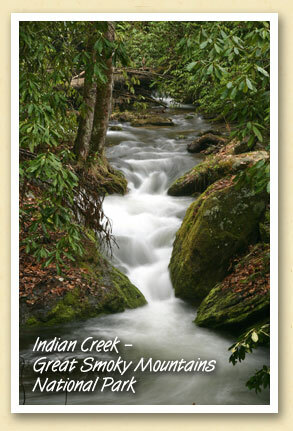 Deep Creek offers a ‘perfect three’ waterfalls. 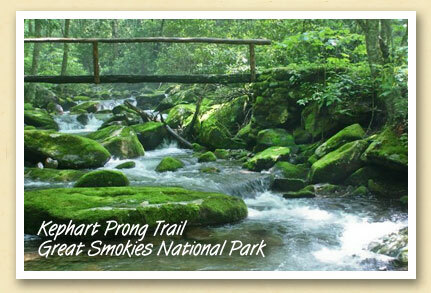 And you can visit them all within an hour’s walk from the trailhead parking lot at the Deep Creek Recreation Area. 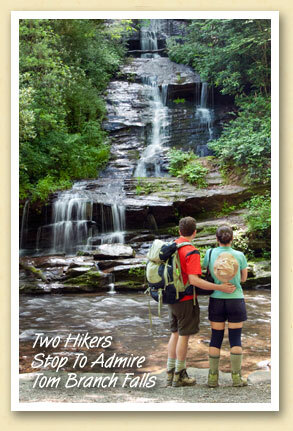 Because they’re on the main trail, Tom Branch Falls (above) and Indian Creek Falls are the most-visited. 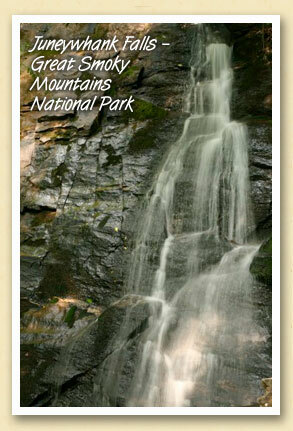 But if you take the short side trail to Juneywhank Falls, you’ll be richly rewarded. 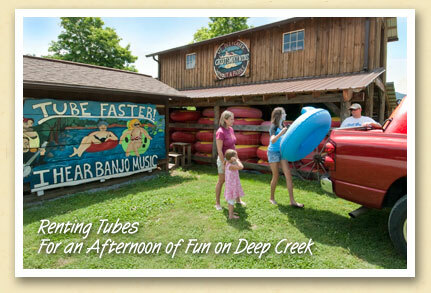 And if you’re one of the many who enjoy tubing on Deep Creek, you’ll get an up-close view of Tom Branch Falls. Small Boat. Large Lake. So Many Possibilities. 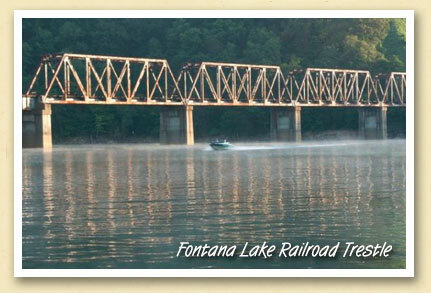 Jennifer Wilson snapped this early morning scene on Fontana Lake as a boat passed under railroad trestle on its way to a day of fun on the 11,700-acre lake. 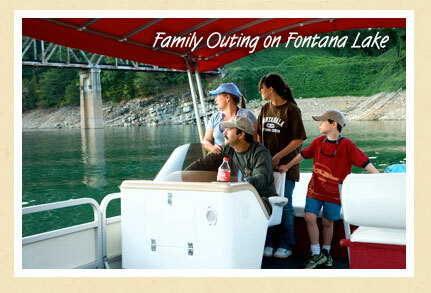 Several marinas rent boats for full-day or half-day outings which can include fishing, swimming and sightseeing. 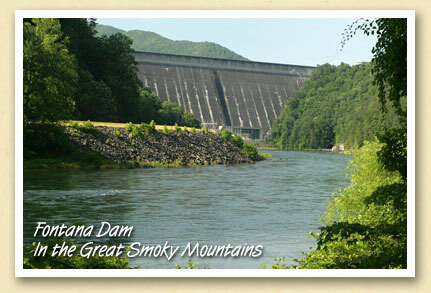 With the entire north shore of the 35-mile-long lake protected by the Great Smoky Mountains National Park, wildlife sightings are common, including black bears and bald eagles. 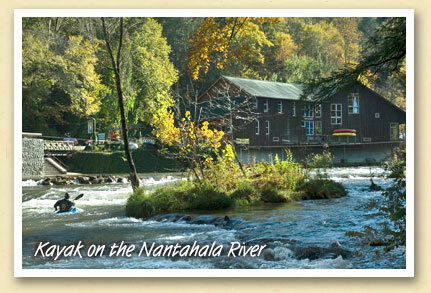 The 791-foot long bridge, which crosses the lake 100 feet above the water, is one of the highlights of the Great Smoky Mountains Railroad’s 44-mile Nantahala Gorge excursion which departs from Bryson City, March thru December. Smoky Mountains visitor Susan Weller took this photo of the Little Tennessee River shortly after sunrise in early October last year. 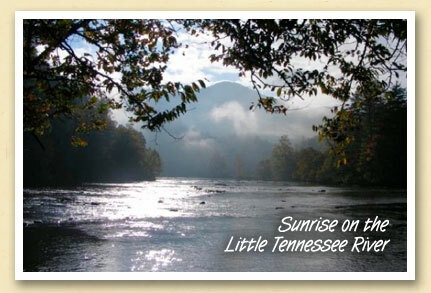 The Little Tennessee is one of the the three rivers that feed into Fontana Lake, the others being the Nantahala and the Tuckaseigee. 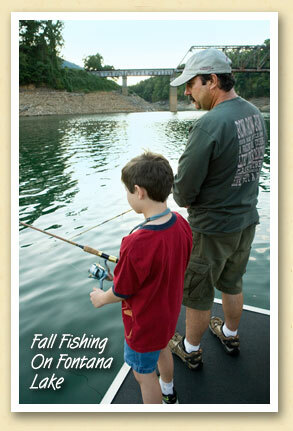 Looking for a memorable family outing when you visit the Great Smoky Mountains? 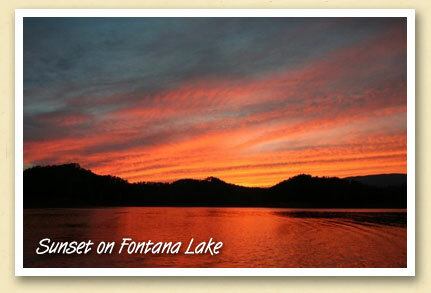 How about packing a picnic and exploring beautiful Fontana Lake in a rented pontoon boat? Several marinas rent the covered boats for full-day or half-day outings which can include fishing, swimming and sightseeing. 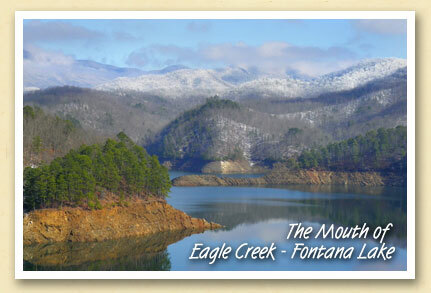 With the entire north shore of the 35-mile-long lake protected by the Great Smoky Mountains National Park, wildlife sightings are common, including black bears and bald eagles. 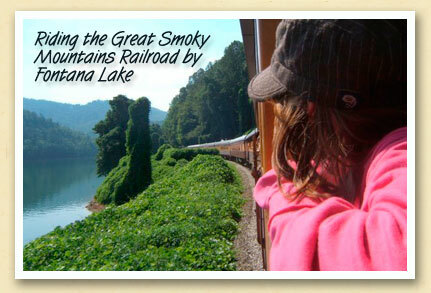 You even may catch a glimpse of the Great Smoky Mountains Railroad’s scenic excursion crossing the trestle (above).